Looking to master digital marketing on your own? I've been there, and I believe you can do it too! Sure, there's TONS of free information available online, but I'd like to save you some tears, frustration and hours of sifting through it all. You can master digital marketing on your own, but it does take time and dedication. While I don't believe in complete one-size-fits-all solutions, I do believe you can use proven methods for individual parts of your business. Below are DIY digital marketing courses and guides I've developed based on the same exact steps I've used to help dozens of other entrepreneurs and business owners get found, grow traffic and gain clients. Imagine if more customers were coming to you and you could spend less time marketing your business and more time on delivering your amazing services? 60,000+ Google searches are performed every single second* - people are already looking for a product, service or solution just like yours. Which means your dream clients are ALREADY searching for solutions like yours. Help them find YOU. All that traffic your website is getting? Don’t waste it – make sure you’re capturing email addresses and building your list of subscribers. This 40 page guide covers everything from creating a freebie your audience will love to setting up the marketing and delivery. Finally, simple strategies to transform your site into a client-magnet! Attract AND convert more ideal clients with this interactive workbook. 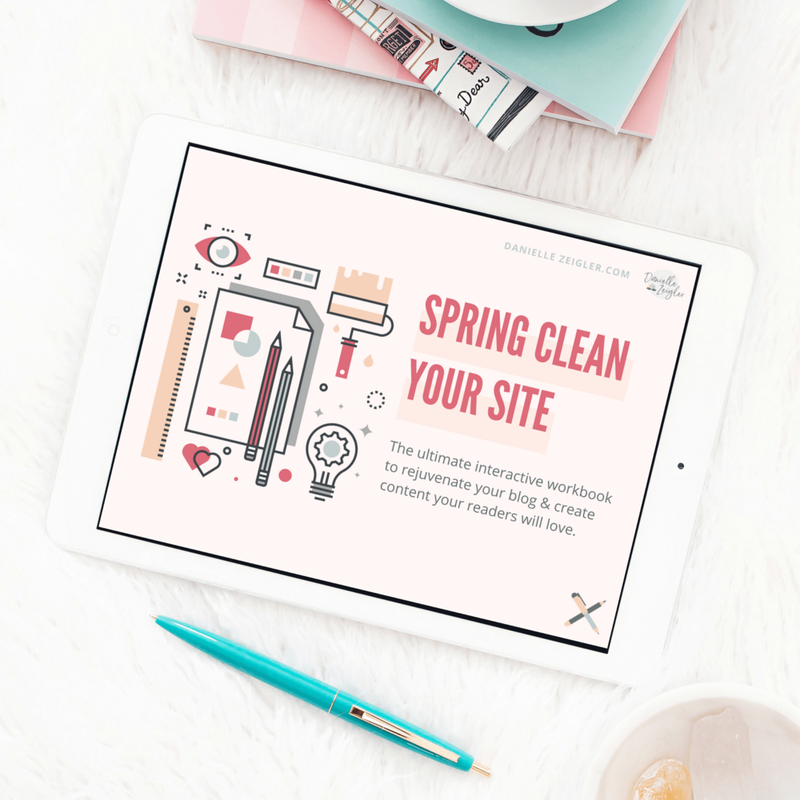 The Spring Clean Your Site workbook is customizable to YOUR unique blog & business. With strategic, in-depth content analysis + creation, bonus social media strategy & much more, this reusable, interactive workbook will help you grow your tribe and paying clients, without time-sucking guessing games (and give you a prettier, better working site in the process).